These binoculars feature multi-coated BaK-4 prisms with phase-coated optics that deliver bright, detailed and high-resolution images. 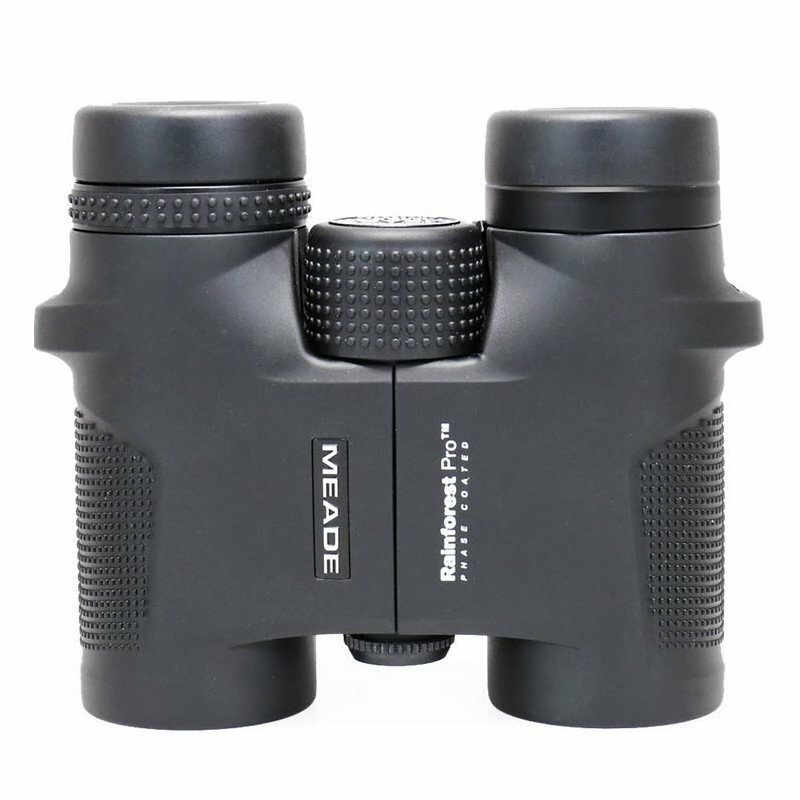 These high-end binoculars come equipped with rotating rubber eyecups, a dioptre adjustment ring and handy central focusing. They are waterproof, nitrogen-filled and have a robust rubber-armoured housing. This all means that they are protected from the weather and are perfect for outdoor use. 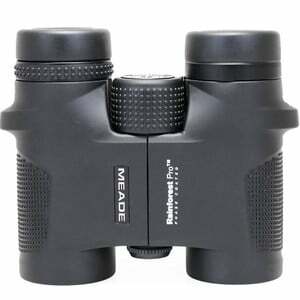 Their excellent short focus capability also allows observation of animals and plants from a relatively short distance. 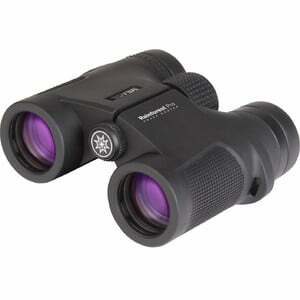 Rainforest Pro binoculars come with a nylon bag, carrying strap, lens caps and cleaning cloth.